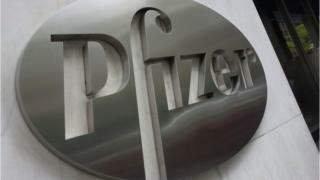 The US pharmaceutical giant Pfizer has confirmed that it will buy a US cancer drug firm, Medivation, for about $14bn (£10.7bn). After earlier rumours, the deal was confirmed by Pfizer on its website on Monday morning. San Francisco-based Medivation produces the prostate-cancer treatment Xtandi. Pfizer has agreed to pay about $81.50 per share for Medivation, which is a 21% premium to the target firm's share price as of last Friday. "The proposed acquisition of Medivation is expected to immediately accelerate revenue growth and drive overall earnings growth potential for Pfizer," said Ian Read, chairman and chief executive officer of Pfizer. "The addition of Medivation will strengthen Pfizer's Innovative Health business and accelerate its pathway to a leadership position in oncology, one of our key focus areas, which we believe will drive greater growth and scale of that business over the long-term," he added. Pfizer's drugs portfolio includes the breast cancer treatment Ibrance and several other promising immuno-oncology products. In addition to Xtandi, which is already approved for sale in the US and is forecast to generate $5.7bn in sales by 2020, Medivation has a breast cancer treatment under development, Talazoparib. Medivation was founded in 2004. Takeover rumours have pushed its share price to double in the past six months. France's Sanofi has tried to buy Medivation, and Merck & Co and Celgene were also said to have considered bids. In April, Pfizer scrapped a planned merger with Ireland's Allergan after the deal hit trouble because of plans to change US tax laws. The US Treasury had announced plans to prevent deals known as "inversions", where a US firm merges with a company in a country with a lower tax rate. The Pfizer-Allergan deal, valued at $160bn, would have been the biggest example of an "inversion". It would also have been the biggest pharmaceutical deal in history.